The Anna Jarvis Award for Teaching Excellence in Emergency Medicine was established in 1993 to recognize excellence in formal teaching among the faculty in Emergency Medicine. Formal teaching includes that occurring at bedside, didactic lectures and seminars/workshops. The FRCP-EM and CCFP-EM programs nominate recipients based on four criteria: academic involvement, clinical exposure, commitment to resident needs, and research activities. A committee, consisting of an ED Chief (named by the department division director), the residency program director, the division director, and two resident representatives reviews the nominees teaching effectiveness and participation. They then select one recipient for each program. Dr. Smith-Gorvie is a full-time staff ED physician at University Health Network and is a clinician-teacher in the Department of Medicine. Her educational activities include teaching both in and out of the ED at the undergrad and postgrad MD levels. She is also the director of the Clinical Epidemiology Course in the U of T FRCP EM program. Dr. Smith-Gorvie is involved in a variety of research and administrative activities. She has completed her Baking Arts Certificate from George Brown College, and she enjoys playing bass guitar and performing in a band. 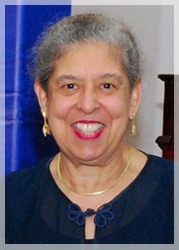 Dr. Anna Jarvis is Professor Emerita, Department of Paediatrics, University of Toronto. She was involved in the establishment of emergency medicine (EM) and paediatric emergency (PEM) as Canadian specialties, and current Canadian Emergency Department Triage standards. Major leadership contributions include collaborations with: The University of Toronto, Department of Paediatrics and The Hospital for Sick Children; Royal College Specialty Examination Boards; Canadian Paediatric Association PEM Section; Canadian Association of Emergency Physicians; Toronto Emergency Services; The Michener Institute for Applied Health Sciences, Life Support Program; American Academy of Pediatrics; Greater Toronto Child Health Network; and Credit Valley Hospital. Her passion and commitment to improve children’s health outcomes led to collaborations with multiple healthcare professional groups. While the Associate Dean Health Professions, Student Affairs, Toronto, she developed and coordinated student support services. Equal emphasis was placed on student academics, life enrichment and encouragement to become contributing citizens. A committed mentor she continues to support faculty, current and former trainees as their careers evolve, especially international PEM graduates as they introduce PEM in their home countries. Have at least one postgraduate Teaching Evaluation Score (TES) in the POWER system for one of the past three academic year with a top quintile score for that year, and have presented in each of the three past years in at least two of the following activities: Group A/B rounds, Grand Rounds, M&M rounds, Journal Club, mock oral examinations or academic afternoon sessions as listed below. Not have won an Anna Jarvis Award in the prior five years. Preparation/teaching of afternoon academic sessions, such as geriatrics, clinical epidemiology, ethics, emergency ultrasound, administration. Participates in formal resident mentoring system. Attendance/participation at academic half-day case presentations, grand rounds, and monthly journal clubs. Participation in bi-annual program oral examinations and written examinations. Is involved in supervising resident scholarly activity projects. Provides a role model to residents of the importance of academic endeavours via research, education, administrative or quality/safety activities.